Please note: Second quality with optical defects, no funktional defects. Combined GPU/RAM/VRM-cooler for graphics cards of the type NVIDIA TITAN X with 12 GB RAM and NVIDIA GTX 1080 Ti Founders Edition with 11 GB RAM according to reference design, compatible with SLI HB bridges. During the design process, high cooling performance and a low resistance were defined as the main design goals. The kryographics Pascal series is equipped with a jetplate for the GPU area. 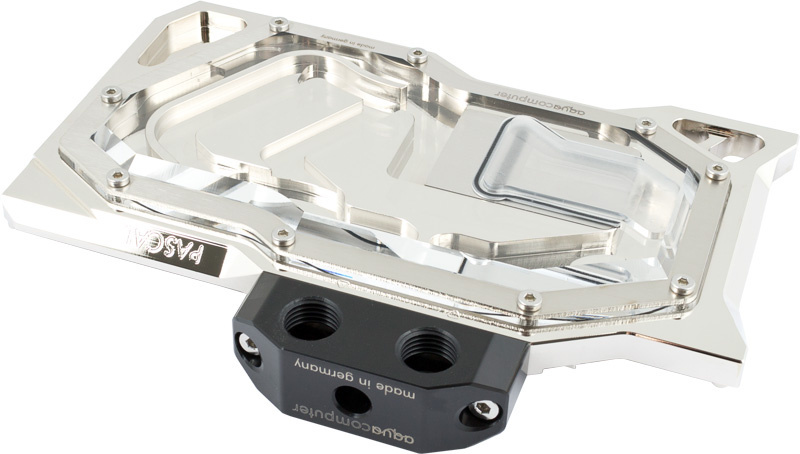 All relevant components of the graphics card are in immediate proximity to the coolant channels inside the water block. 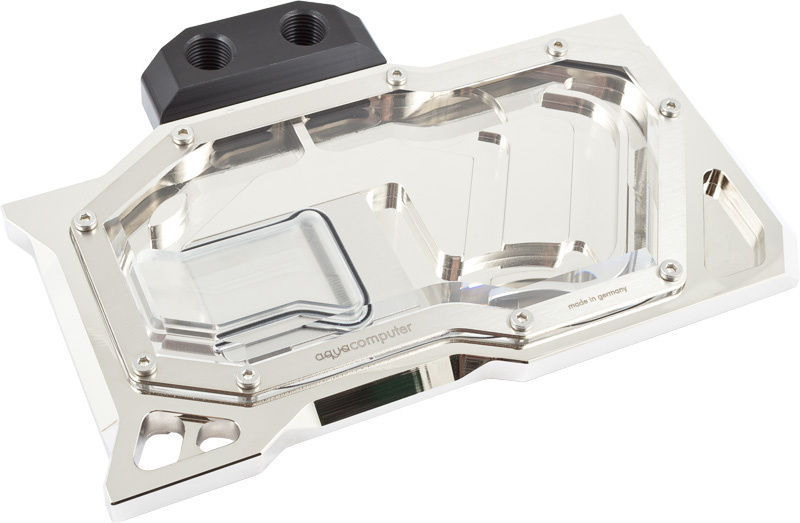 A bypass channel reduces flow resistance by splitting the coolant flow to different areas of the water block after the coolant has passed the GPU area.